Whatever you plan to make, the SMX is up for it. The SMX is a roller linear guideway multi-function machine that sports left and right opposing spindles. The tool magazine on its milling head has an 80-tool capacity but has an optional tool capacity of up to 120 tools. It also sports rapid traverse rates of 1890 IPM, a 30% larger Y-axis travel and 0.0001 degree indexing on the B-axis and main C-axis spindle. The SMX gives you the freedom to mill. 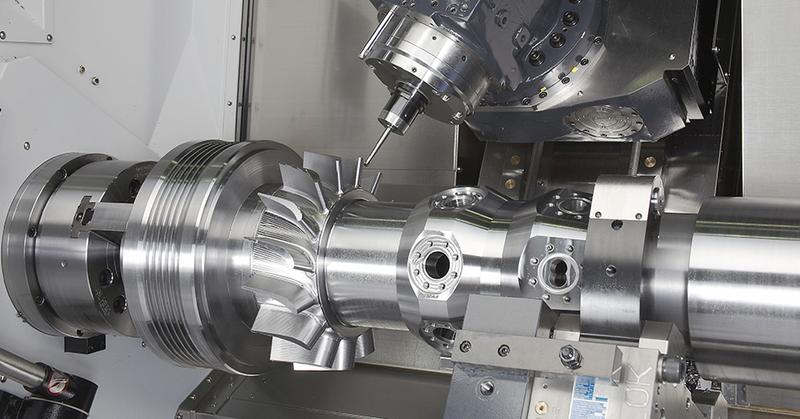 The B-axis milling spindle on the MX Series is driven by a roller gear cam for backlash-free motion. On top of that, the travel of +/- 120 degrees lets you mill how you see fit. Process speeds, cycle time and machining capability will see instant upticks. *Inhales deeply* X1, Z1, Y, X2, Z2, A, B, C1 and C2. That makes nine total axes on the SMX Series. In other words, this single machine tackles any part in every industry. “The only limit is your imagination” is thrown around a lot, but in this case, it’s the truth.